The Hajji Baba Club is the oldest rug society in the US, boasting members from some of New York City’s historical elite. 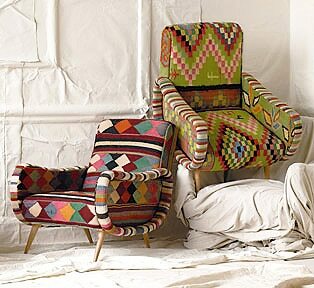 But the club has evolved in recent years to attract the next generation of rug and textile enthusiasts. Under the helm of President Roger Pratt, the club is organizing a variety of new educational events, museum collaborations and projects designed to inspire collectors from a broad demographic profile. In a one-on-one interview, Mr. Pratt opened up about the club’s new direction, his passion for collecting rugs and his first introduction to antique rugs from Jason Nazmiyal. 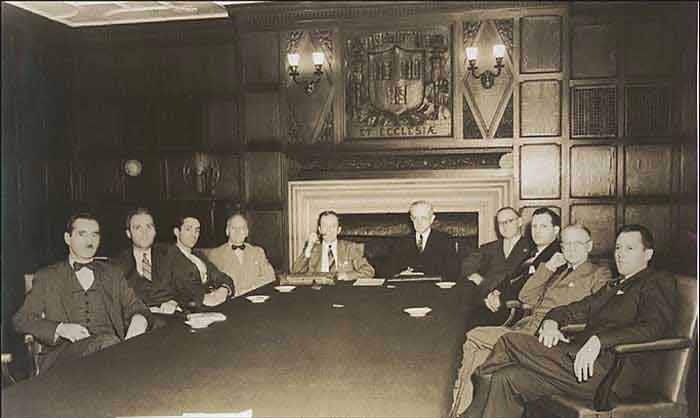 The club was started in 1932 during the height of the Great Depression by a small group of successful, zealous, and colorful New Yorkers that included industrialists, financiers, film executives, and scholars. Their mission was “to promote the knowledge and appreciation of oriental rugs as art,” and to have a good time while pursuing that mission. The club took its name from the rogue hero in a novel written by James Morier in the 19th century, entitled “The Adventures of Hajji Baba of Ispahan.” For many years the Club was private and exclusive, and by its nature its activities were aimed at insiders. As of the 1990’s the organization has become a non-profit organization and we are striving to reach a broader audience. We have expanded the educational mandate and mission beyond knotted pile carpets to include textiles such as embroideries, village and tribal nomadic weaving, twill tapestries, such as shawls and other related arts. Who are the Rug Collectors Club Members? We currently have about 180 members from around the world, with most residing in the New York City metropolitan region. The heart of the membership is collectors from a wide variety of professional backgrounds. Members also include academics, students, museum and auction house representatives, dealers, curators, designers, world travelers, and people who have previously resided in the rug and textile producing regions of the Middle East, Central and South Asia. The Hajji Baba Club is the oldest rug society in the US. How have you evolved over the years? We are now taking steps to enter the 21st century (and we would like to recruit energetic new members to help us do so)! I’ve been president for a little over a year, and we have embarked on a program to update our website and database so that we can be more effective in managing the club’s activities. We also have a new program director, Barbara Kaslow, and we’re trying to aim some of our offerings at a younger audience, such as developing an educational series designed with the beginning to intermediate collector in mind. We are also renewing our relationships with museums in our area, many of which have significant rug and textile holdings. We’re planning a behind the scenes tour at the Metropolitan Museum of Art for example. 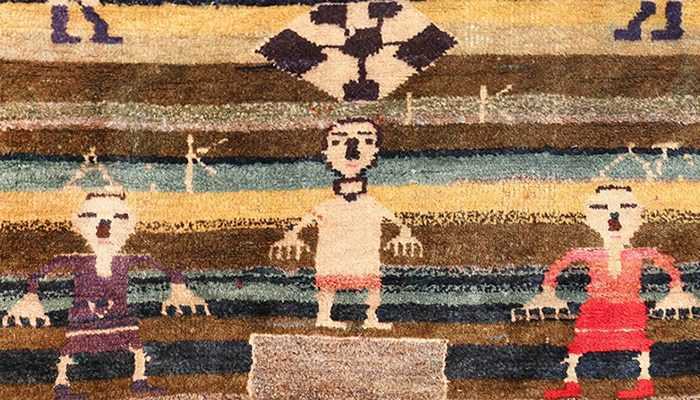 I’d also like to do something at the Newark Museum, because they have great North African as well as Tibetan rugs. How did you get interested in antique rugs? When I moved to New Jersey from Atlanta about 25 years ago, the younger Jason Nazmiyal was running a rug gallery located outside of Morristown, New Jersey. Jason offered seminars on rugs and hosted exhibitions as well. I’d say that it was exposure to these programs that did it for me. The first “antique rug” I purchased was from Jason in 1992; it was actually a fragment that had been made into a pillow. Jason created an atmosphere that helped me see rugs as art, as opposed to simple decor or floor covering, and that really grabbed me. For me, there is a depth of history and ethnography to rugs and textiles that gives them a dimension not expressed in many other art forms. Why did people weave these pieces? How did the designs emerge? How were the weavings used in their culture? How did they change over time? All of this is fascinating to me. Of course not everyone gets into rugs and textiles the same way, though. And that’s what fun about the club. There’s such a diverse group of people with different personalities and knowledge, which makes it very stimulating. 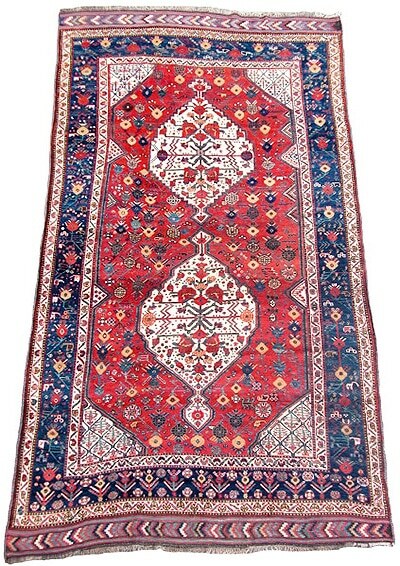 In your own antique rug collection, what is your favorite carpet? 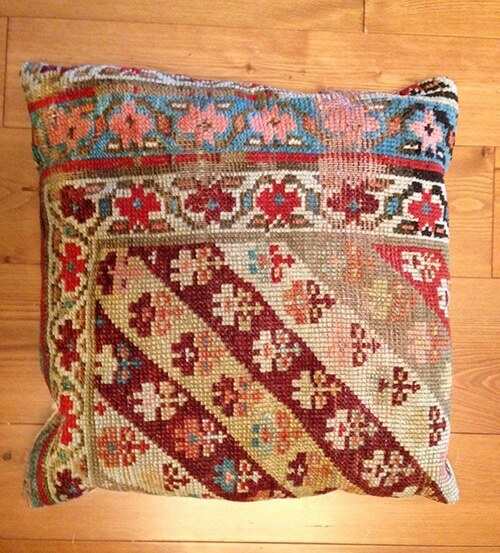 I have a Khamseh tribal weaving from Southwest Persia, circa 1880, with an early pomegranate design. It has a luscious color, and I love the pomegranate motif. I also have a shrub Kurdish rug, from Northwest Persia, that’s from the 18th century. It’s one of my older rugs. 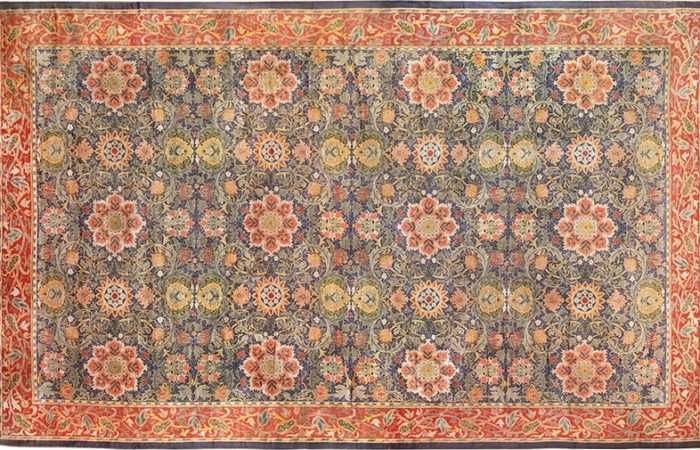 The over scale motifs on the rug are related to the classic Persian garden of paradise rug, and tree of life rugs, which I find to be particularly inspirational and uplifting. What’s in store for the future of the Hajji Baba Club? We’d like to expand the membership base of the club a bit and add some new people with passion and energy that could help us take the club to the next level. There’s an educational aspect to the club, but also a social element. It’s not just for collectors. Right now, our website lists the upcoming programs. If you’re interested in coming, you can get in touch with us through the website, and we’ll invite you to an upcoming event. Alternatively, you can email me directly at rogratt[at]aol[dot]com and I’ll put you on our guest list. Recently, we’ve been holding our monthly meetings at the Coffee House Club, which is located just west of 5th Avenue on 44th Street. 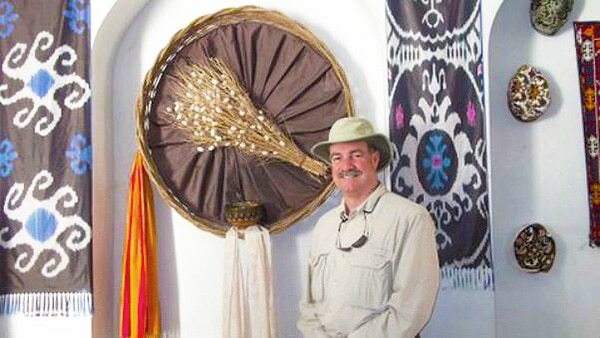 This rug blog – an Interview With Collector Roger Pratt of the Hajji Baba Club, was published by: Nazmiyal Antique Rug Gallery in Manhattan New York City.